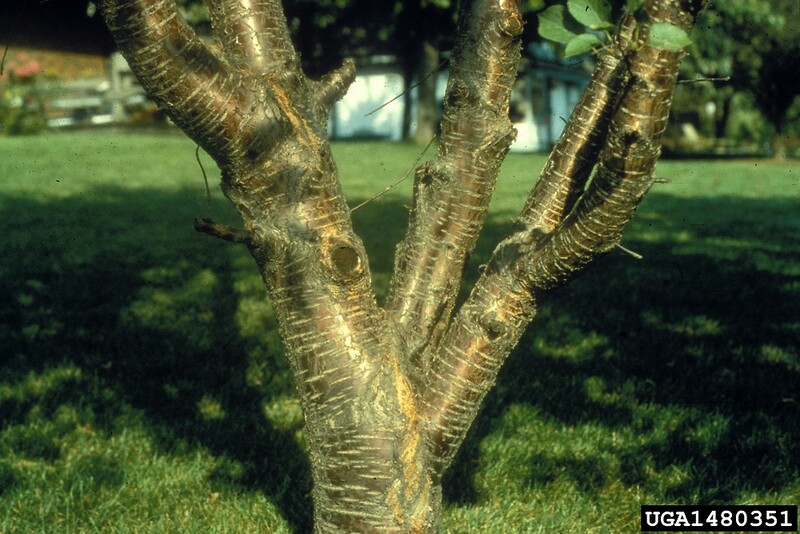 Prunus avium is a tree to 20 m, bark smooth, dark reddish-black with horizontal stripes. 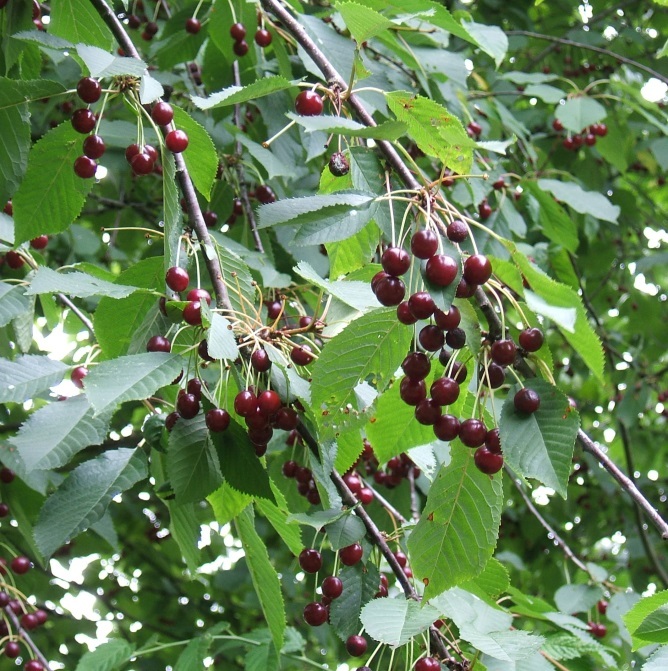 The commercial cherry. Leaves alternate, egg-shaped to 15 x 5 cm, hairy below, especially along veins, margins coarsely, often doubly, toothed with tiny brownish indentation at tips of teeth, dull dark green above, pale below, stalk about 3 cm long with 2 prominent, often red, glands near top. Flowers white, about 3 cm wide, in small clusters, each on its own stalk 2-4 cm long, petals 1-1.5 cm long. Fruit Dark red.1-2 cm, in sparse, umbrella-like clusters or solitary, on individual stalks to 5 cm long, pulp lipid <10% (White and Stiles 1992) bird dispersed. Eaten by birds and mammals (Martin et al. 1951). Habitat: Escaped from cultivation in successional woodlands, edges, fill. Sometimes locally common.